It’s almost time to take on the League of EVIL! We’re less than a week away from the next installment in Hearthstone with the new Rise of Shadows expansion. The last patch before the new expansion went live yesterday, so let’s take a look at some its more important changes. 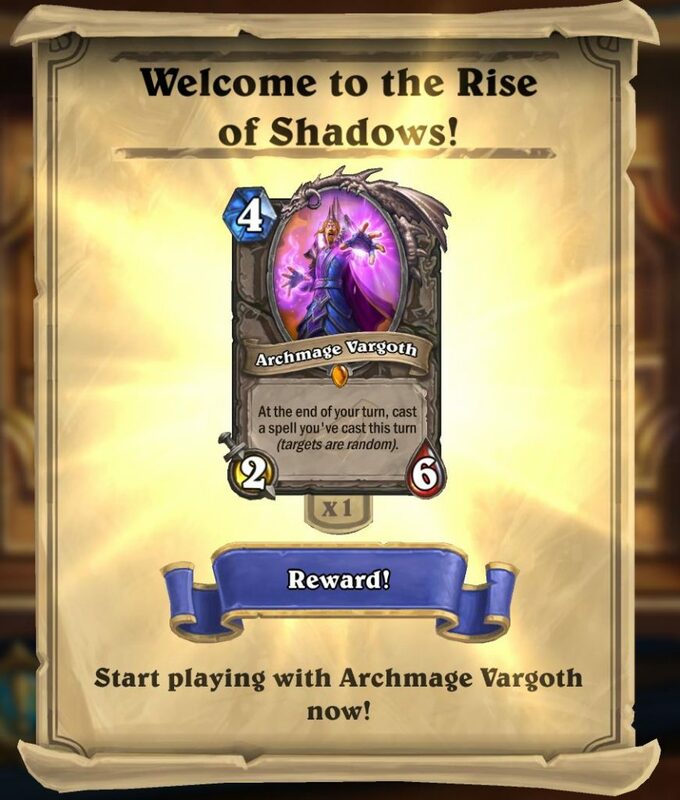 The Rise of Shadows expansion will be released on April 9 and brings with it 135 new cards. This will be the first expansion released during the Year of the Dragon and it’ll bring a ton of new features to the game. While we can’t dive into the expansion just yet, there are a few new toys related to it that you can check out right now. One of those new toys is Archmage Vargoth. As of yesterday’s update, anyone who logs into Hearthstone will be awarded the new Rise of Shadows neutral Legendary minion for free. This means over the course of the next few days, you have the unique opportunity to use a Rise of Shadows Legendary in Standard alongside cards that will soon only be available for play in Wild. 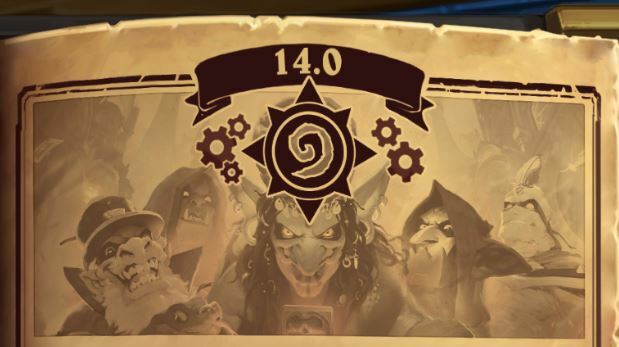 The Hearthstone team recently added in the new auto-complete deck feature, which has been praised throughout the community. With the latest patch, the team made some improvements to the auto-complete feature that aim to make it more user-friendly. As of this update, you can now use the smart deck builder to complete decks from the selection screen with a single click. You can also now convert Wild to Standard format ready decks by using Blizzard’s new intelligent card replacement algorithm. According to the patch notes, players will need to give the auto-complete feature some time to gather the necessary data after the expansion goes live if they want to use the feature to its full potential. The auto-complete feature uses win-based data in order to determine which cards work best together and in which deck combinations. Players will have to generate that data before the feature can really spread its wings. 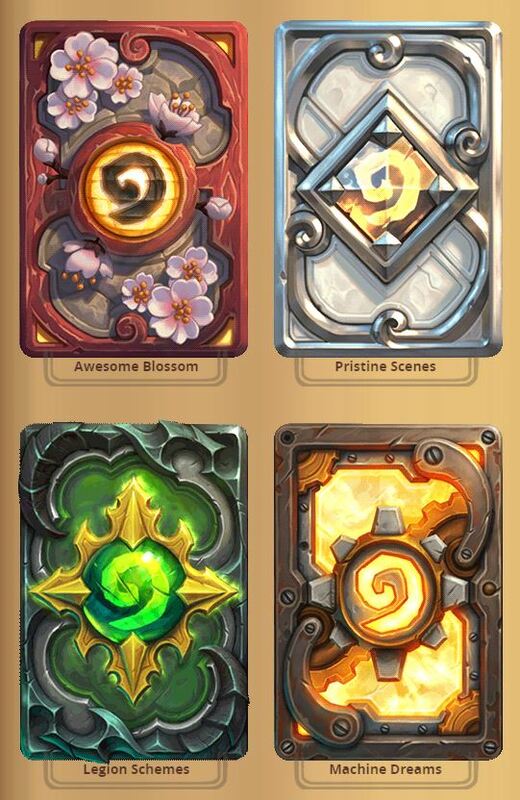 If you like your decks to look fancy, you’ll be pleased to learn that four new card backs were added with the update, three of which you can use right now. In order to obtain the Machine Dreams, Legion Schemes, and Pristine Scenes card backs, you’ll need to log into Hearthstone on a PC, Android device, and iOS device, respectively. If you’re missing any of the required devices but still want all three card backs, check out this guide that should get you pointed in the right direction. The Awesome Blossom will be the monthly card back for May. This means all you have to do to obtain it is win five ranked games during the month of May. The patch also brings a variety of bug fixes to the game. Most notably, an update went live for the way Poisonous, Lifesteal, and Overkill function. Before the patch, if a card had one of these keywords and lost it due to a card effect in the time between dealing damage and applying the keyword effect, that effect wouldn’t be applied. Now, if a card has Poisonous, Lifesteal, or Overkill at the moment it deals damage, that keyword effect will still apply no matter what. For full patch notes and a look at the entire list of bug fixes, you can check out Blizzard’s blog post. 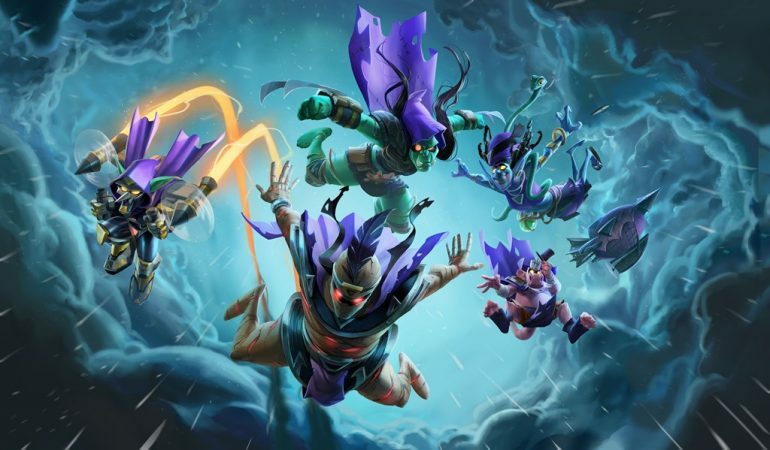 You can experience all of the new cards and features when Hearthstone’s Rise of Shadows expansion goes live on April 9.